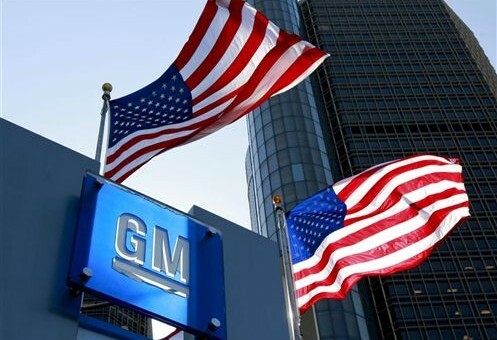 General Motors To Return To Medium-Duty Truck Market In U.S.
General Motors CEO Mary Barra has said it once before, but her statement rings true for this news. Careful collaboration and partnerships will lead the industry forward, rather than all-out mergers. After years of stretching development dollars, and facing a staunch cash-crunch, GM is starting to rebuild its empire. The latest piece is the re-entry into the medium-duty truck market. The Wall Street Journal reports GM will form a new joint venture will Japanese automaker, Isuzu. Isuzu will build the medium-duty trucks, while GM is said to supply a powerplant for them, according to dealers briefed on the news. Isuzu, which exited the U.S. market years ago, will rely on GM’s well-established dealer network. GM dealers have been yearning for product to sell in this market, as Ford and Daimler have remained active. Medium-duty truck sales have grown 3.5 percent thus far in 2015. The rebadged Isuzu N-series trucks are expected to begin a wider foray into the market, which hasn’t been tapped by GM in years. A formal announcement on the joint-venture is expected soon. Previous story Rumormill: 2016 Chevrolet Camaro Order Date Set? With Isuzu’s commercial truck market still going strong in North America, I knew they weren’t set on abandoning entirely. Sounds like this will be a good deal for both companies, and at least a way for Isuzu to re-enter the United States consumer market with their long standing partner. Medium Size or Medium Duty market? I would have figured GM would supply the chassis and Isuzu provide the engine not vice versa. I guess Isuzu has the chassis’ manufacturing almost ready to go, where GM’s Topkick/Kodiak platform was abandoned. Medium duty truck market compared to heavy duty (ie. big rigs). Medium sized pick up versus full sized. Agree that they should bring the Kodiak. That’s what I thought. The article originally said mid-sized in multiple places. It has since been corrected. Where would this truck fall in the current line up? Under Colorado, Silverado, and HD or somewhere in between? It wouldn’t fall anywhere in the current line up as the vehicles you mention are ‘light duty’ with passenger applications. The Isuzu models are commercial applications only with no passenger models. They also fall into a different category for federal regulations.